Short post as today has been another very long day that started at 4.30am. Yesterday one of the most important things I did was make a cake. This was critical as cake is a key part of the abattoir picnic. No visit to the abattoir is complete without cake. 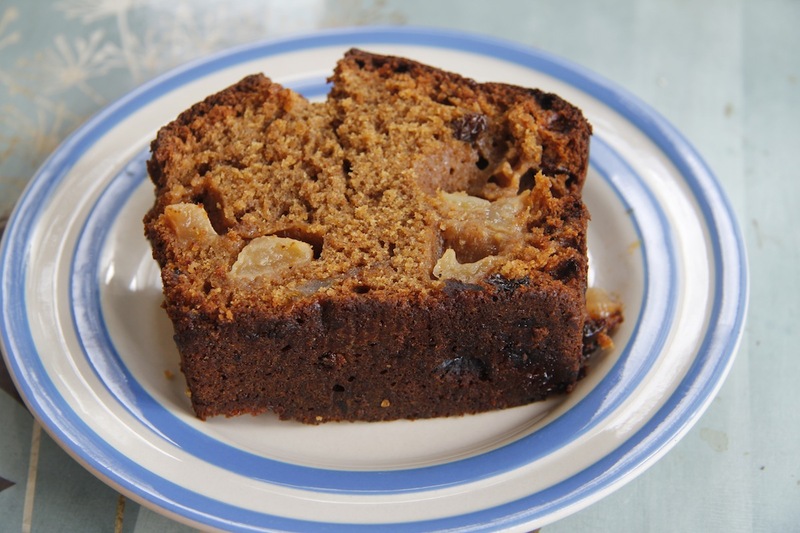 As our cooking apples are doing very well and as I was given a jar of marmalade by a kind friend I decided on a wholemeal apple and marmalade cake from Nigel Slater tender vol.II (684). I will write more on the whole abattoir experience and picnic tomorrow. For now cake is all I can manage. Ingredients: 225g butter, 215g muscovado sugar, 4 eggs (I used three duck eggs and one bantam as that is what I had), 250g wholemeal flour (hence it is healthy! ), heaped tsp of baking powder, scant tsp of cinnamon, 200g of peeled and chopped cooking apples (I will add more next time – at least 250g), 100g sultanas or raisins, 125g marmalade. Beat butter and sugar together until light and fluffy. Add in eggs. Sift flour, baking powder and cinnamon then fold into mix. 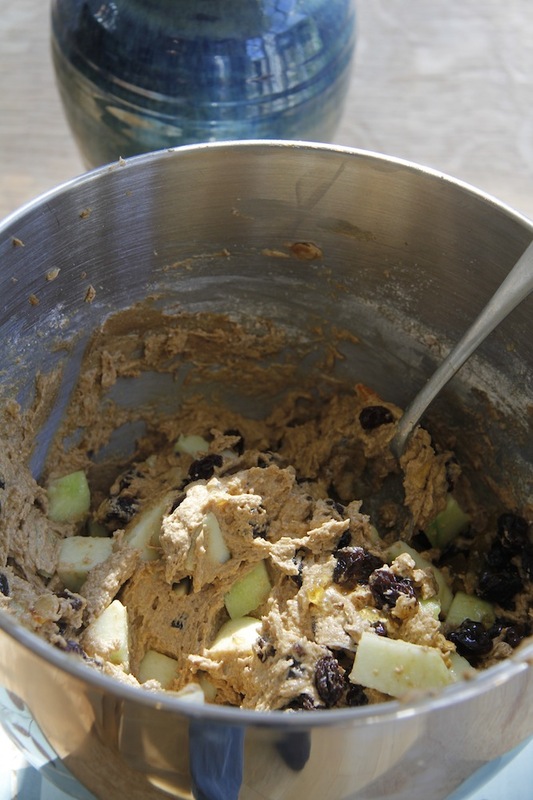 Add in the chopped apples, sultanas and marmalade. Line a big loaf tin with baking paper. Add in cake mix. Bake for about an hour and a half at 160C or until a knife stuck in comes out clean. I let it cool in the tin and then turned it out.